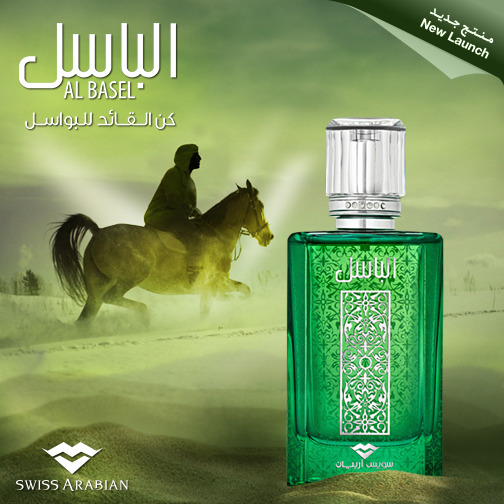 Al Basel is a popular perfume by Swiss Arabian for men and was released in 2014. The scent is citrusy-sweet. It is still in production. 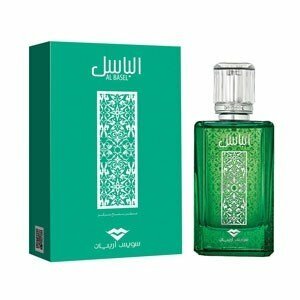 As a fan of citric scents I had to come across this Al Basel at some point. And yes, it starts with a fresh and fruity lemon, but immediately accompanied by sage, which contributes a tart flavour - a great team. These two make up about 60-70% of the fragrance, carried by a leathery-smoky base, along with a pinch of gourmand Orient through cinnamon and praline. Absolutely fantastic, if only I weren't so sensitive to smoke. Because there is a lot of "wickedness" coming over, which seems smoky rather than leathery. But maybe that's exactly what makes this H & S hammer so attractive?! Valuable citric-herb/sweetish-oriental-smoky/masculine scent, especially suitable for going out. It seems I am the first (and hopefully not the last) to comment on this great EdP scent in detail here. Before, I had not possessed or tried any scent of Swiss Arabian. I can only guess why he's called Al Basel. The manufacturer apparently makes no secret of his origins (Swiss Arabian) and perhaps dedicates the fragrance to his hometown Basel. But well, it's not that important. I'd like to start with the optics, the bottle. The form is simple and the green shines in a rich green, which comes across very friendly. The arabic characters lend the optics the typical oriental flair and fit in my opinion very much to the green. Let's get down to business. The fragrance brings a fresh, bitter lemon to the top note. Not the toilet note known from some citric scents. No, the sage makes it very pleasant. It doesn't take long and spicy notes are added, due to cinnamon and cardamom. As a result, the fragrance increasingly rowing into the more elegant lane without, however, losing the pleasant, slightly bitter lemon sage composition. Here - I find - also the Orient crystallizes out. This tasty alliance enchants the wearer for about two hours until the wooden amber-leather faction intervenes. The duo gives the whole an even nobler character. This delicious chord of tart, spicy leather seems to linger on your skin forever. The shelf life and Sillage are damn good. After nine hours, my environment can still perceive him. It's not uncommon for scents from the Orient. Write the first Review for Al Basel!